revelation from the spiritual world without equal and can contribute greatly to ones spiritual knowledge. 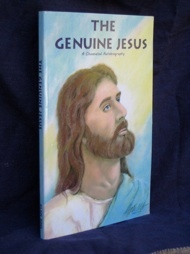 This book is the channelled autobiography of the life of Jesus told in the first person as it was received by James Padgett. This story follows the chronology of the Gospels though with dramatic differences in the events of his life. Jesus traces his birth and formative years, his ministry, his death and resurrection. He removes the supernatural hocus pocus by explaining that his life and true miracles conformed to natural law. He states that his most important teachings were either lost or altered with time and that this story was sent by him to the American lawyer to set the record straight. This is a book for every thinking person who has questioned the Bible and the doctrines of the churches. 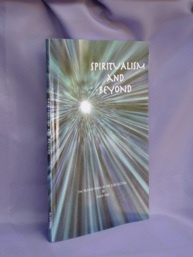 This is a voluminous book of channelled writings received by the medium James E. Padgett to complete the science, philosophy and religion of Spiritualism and to correct the Bible. In it are eyeopening accounts from Jesus and his disciples, and a great array of historical and religious figures from throughout history. Some note worthies are: Moses, St. Paul, Socrates, Emanuel Swedenborg, Nero, Queen Elizabeth I, Francis Bacon, Abraham Lincoln, Martin Luther, John Wesley and many others. This is a book of extraordinary depth and spirituality. This book traces the history of Spiritualism from its ancient beginnings to the advent of Modern Spiritualism and its Golden Age. 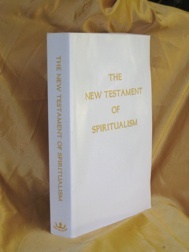 The philosophy that it contains sheds new light on the subjects of the greatest spiritual importance: the creation of the world, the origin of man, the destiny of the soul, soulmates, the spirit world, the spirit body, the nature of God, non-reincarnation and much more. This is a book for open-minded persons who desire to know more. To order a downloadable PDF or eBook it is best to purchase it from the device that you wish to install it on. After making payment click the download link and install it directly to your device's reader software. For transferring Kindle or eBook files manually from your computer-to-device please refer to this article. Important: Once you have completed payment at PayPal scroll down and click the "Return to Merchant" button. By pressing this button you will be redirected to the book download page, then follow the instructions to download the file. If your payment is delayed for whatever reason a download link will be manually emailed to you once your payment has cleared. Postage and packing are included to all countries. the dollar amount into your own currency (use the converter below to preview amount).